When it comes to successful gardening, says Veronica Sliva, timing is everything. Plant container-grown and “balled and burlap” trees and shrubs. 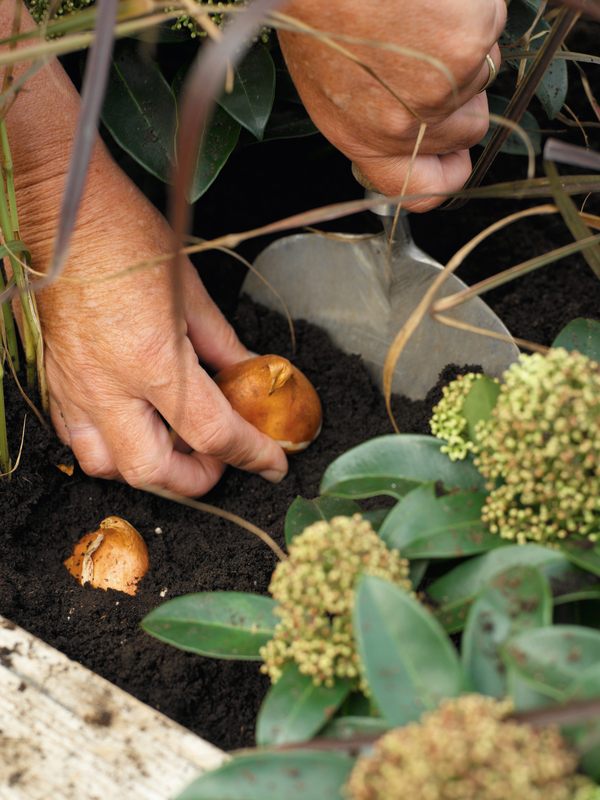 Plant spring-flowering bulbs so they have time to develop strong roots. Divide and transplant spring- and summer-flowering perennials. Sow perennial seeds that need a period of cold to sprout (e.g., columbines, primroses, shasta daisies). Fall is the best time to plant peonies. There’s time for feeder roots to grow strong before going dormant in winter. A winter mulch is helpful to prevent frost heaving. Plant garlic to harvest next year. Fall planting scene. Plant tulip bulbs in fall. Plant with pointy end up. Ken Brown, horticulturist, instructor at the Toronto Botanical Garden and owner of the popular gardening Web site, gardening-enjoyed.com, provides this expert tip. Fall Transplant deciduous trees after the leaves have fallen. Continue watering until freeze-up to ensure the root ball stays moist going into winter.